The following is the most recent compiled list of Sinn Fein and other republican candidates contesting this week’s elections, with short biographies of the Euro candidates. Note that all candidates represent SF unless otherwise indicated. Please inform us of corrections or additions as required. Lynn is a member of the Sinn Fein Ard Comhairle and has been an active Sinn Fein member of the party for eight years. She contested the 2007 general election and the 2009 local election in South Kerry. In 2009 she returned to Dublin. Lynn works in Ballymun as a community programme coordinator with an environmental NGO. This work allows her to combine her skills as an ecologist with her commitment to community activism. In 2010 Lynn was appointed chairperson of the Safefood Advisory Board after serving four years on the board. Safefood, one of the Good Friday Agreement All Ireland bodies, promotes greater cooperation in the areas of nutrition and food safety. Lynn has a real interest in EU Policy and politics, particularly in the areas of employment, public transport, environment and food regulation. Liadh Ni Riada is a member of the Tom Barry Cumann in Cork and Sinn Fein’s National Gaeilge Officer. From the Muskerry Gaeltacht she is a member of the Party’s Ard Comhairle since 2013. With a background in media, Liadh has over twenty years’ experience of working as a producer and director with RTE and TG4. She was a member of the Bord which set-up TG4 and developed its broadcasting philosophy and financial structures. 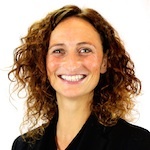 Fluent in Irish and French, she is a vocal advocate for Irish language rights. Liadh is the youngest daughter of the iconic composer and musician, Sean O’ Riada. The O’Riadas contribution both past and present, to Irish national culture coupled with the family’s strong republican background make her the ‘ideal’ Sinn Fein candidate to contest the 2014 European Elections. A youthful, energetic woman with a passion for politics, she is married to Nicky and the mother of Cait (13), Ailsa (10), and Neans (7). 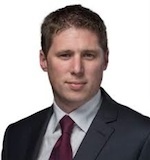 Matt Carthy is the Sinn Fein candidate for the 2014 European elections in the newly created Midlands, North, West constituency. Matt (36) is married to Lynn and they have four young children. He lives in Carrickmacross, County Monaghan having spent much of his childhood in Co. Roscommon. Matt wants to be a fresh voice in Europe for the Midlands, North, West constituency. He believes the EU parliament should not be seen as a retirement home for former TDs but rather as a platform to stand up for the Irish people. “If elected I will defend Irish interests. I will oppose austerity and I will oppose handing more power to the EU” he says. As someone who was born in England to Irish emigrant parents Matt knows the devastation being caused by emigration. He understands the needs of rural Ireland and will demand that resources are delivered fairly to regions most in need of support and that agriculture is recognised as central to the development of local economies. Securing increased investment from the European Investment Bank in job creation will be a priority for Matt. 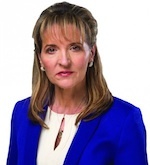 Following the resignation of Bairbre de Brun from her seat as MEP for the Six Counties, Derry based MLA and Junior Minister in the Stormont executive, Martina Anderson, was selected by the Party to replace her. She officially became the Six Counties MEP in June 2012. Martina Anderson is from the Bogside area of Derry, and was born in 1962. She has been involved with the Irish republican struggle for over thirty years. Having spent over thirteen years as a political prisoner in prisons in England and Ireland she was released in 1998 under the terms of the Good Friday Agreement and immediately became involved in working in Sinn Fein. She was part of the party’s political management in the Assembly in Belfast, and then for almost three years she served as the party’s All Ireland Political Co-ordinator promoting, upgrading and mainstreaming the All Ireland agenda. 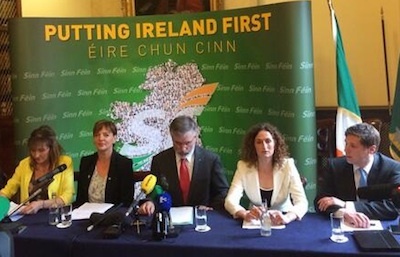 Following the 2006 Ard Fheis (Congress), at which the Sinn Fein President Gerry Adams TD indicated the priority of developing an entirely new relationship with unionism Martina was appointed to the role of Sinn Fein’s Director of Unionist Engagement. This is a task she has pursed with vigour, leading to a number of first public meetings between the party leadership and churches and opinion makers within unionism. She was elected in 2007 as an Assembly member for the Foyle constituency, representing her home city of Derry, at which point she was nominated as one of the first Sinn Fein members of the Policing Board. In 2011 she was made Junior Minister in the office of First Minister & Deputy First Minister, working alongside her party colleague Martin McGuinness. 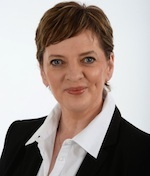 In May 2012, she was proposed by the party’s Six County Executive as replacement for Bairbre de Brun as the party’s Member of the European Parliament.